The AI Gap and how to get over it! 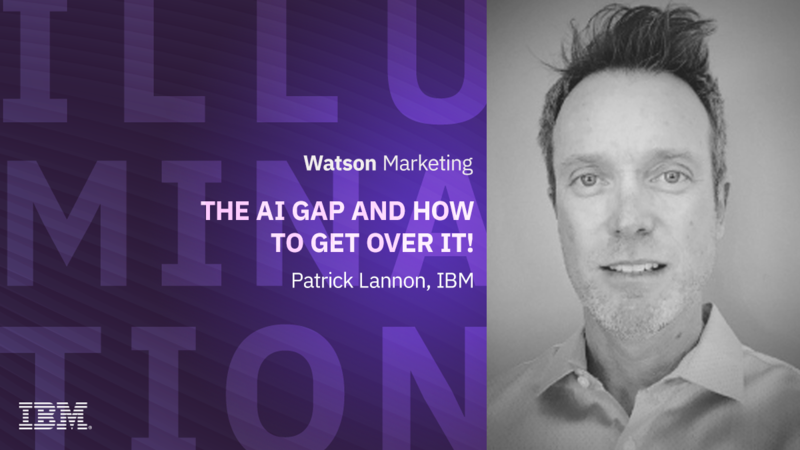 In this session, you will hear from Patrick Lannon, VP of Worldwide Industry Solutions and Revenue Programs, IBM Watson Customer Engagement, about the 4 common misconceptions people face as they work to integrate AI into their customer engagement strategy. From predicting presidential elections to applying analytics to Twitter to helping people find love through food flavor preferences, Patrick will talk about how people and companies are approaching AI. Join in to learn to about the AI Gap and how you and your business can conquer it.